I’ve decided to start something new. As I’ve mentioned, in addition to being an aspiring author and (aspiring) atheist “activist”, I’m also a professional programmer. However, programming is but one of the many crafts I enjoy doing. I also put together jigsaw puzzles, make small clay animals, and put together jewelry. I’ve even tried felting, and plan to do more in the future. This is the first post in a new category where I will highlight things I’ve made. The one with all the colors has dirt allegedly from the catacombs on the bottom of the crucifix. The two on the right side were designed as a gift for a couple. 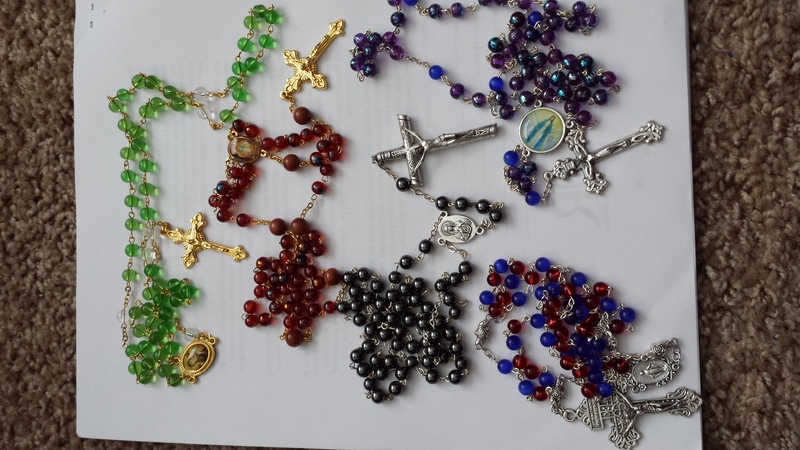 The one on the left with the gold crucifix has a St. Joseph medal as the centerpiece. The green one on the left has the Our Lady of Perpetual Help icon in the centerpiece. The one on the bottom right I call the American one because it is red, blue, and silver. As you can see, I can use rope or metal to put the beads together. 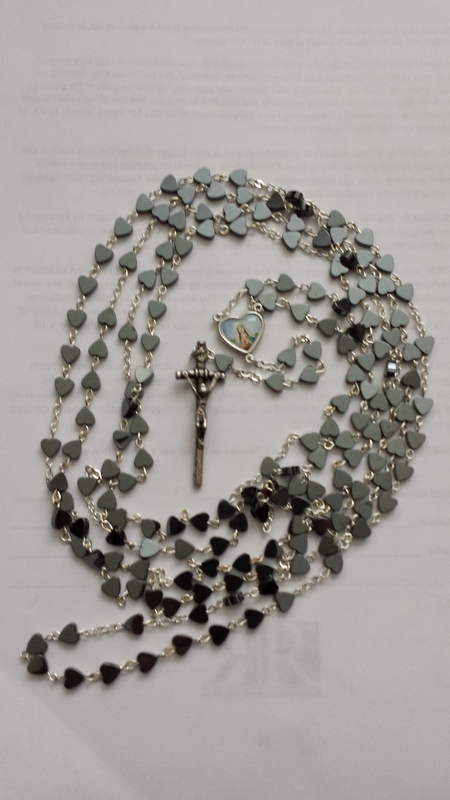 This is something you don’t see every day: a 15 decade rosary. 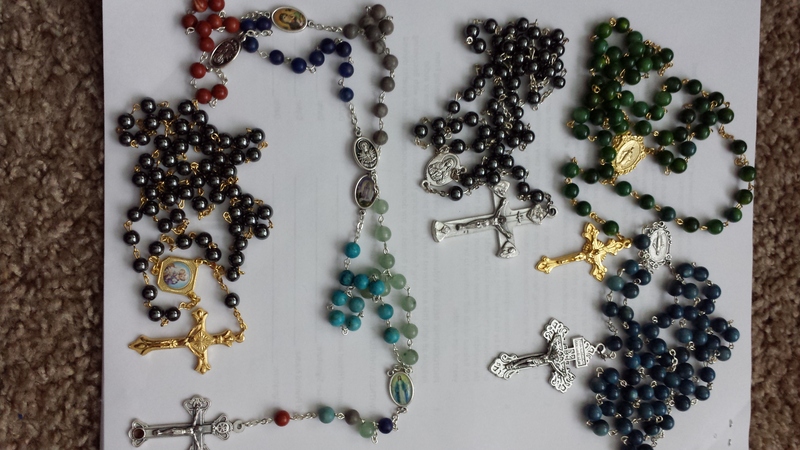 With this, you can pray all 15 mysteries of the rosary at once – great for the stay at home mom with nothing better to do. And all the beads are hearts! I have not yet figured out what to do with these things. I can’t give them to my family; that would give the false impression that I still believe. I don’t really have Catholic friends left, and even if I did, there would be the same dilemma. I’m somewhat willing to sell them, but I don’t know how or where to market them effectively, and am unwilling to put much time into it. After all, I very much disagree with Catholicism; I want it to go away so it can’t hurt anyone else. Can it really be ethical for me to profit from it? 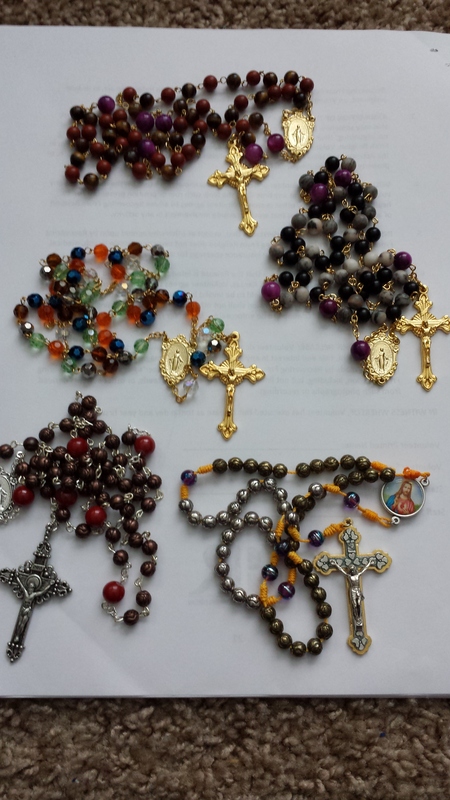 When I showed these to a Catholic who did not know me until this year, he said that Mary would not let me go after I’ve done all this work for her. I found myself unable to voice the thought, but I could not help but feel it: she already has.